What is an advance unit? What is it for and why is the thing so expensive? Can i not do without? can i modify curves? what curves are there? 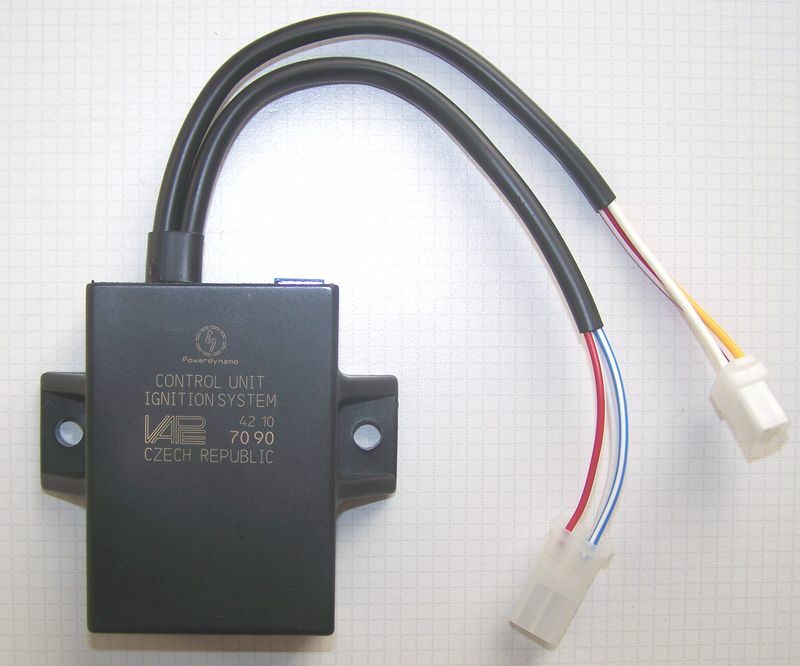 Advance units contain characteristics for ignition control, changing the moment of ignition in function of engine speed. For the normal working of many engines (notably 4 strokes) a must. They can however also be added to 2 strokes, require than however to also replace the ignition coil and to use different initial settings (other material will stay same). On 2 strokes however often the expense will not be in relation to the effect and at any rate advance curves are no wonder cure for old engines and do not tickle more HP out of them. Still, there is some sort of advance in 2 strokes also. See info here. Our offered systems (4strokes) contain an advance characteristic that is the result of our prooven experience. All those curves have been made for unmodified, standard engines and are not aimed at tuning. Though our advance units have (for reasons of economy) more than one curve inside, only the curve(s) described in the installation notes have been tested for the material refered to. We know that the curves cited work with the engines in question. We can not give any other, supplementary recommendations. For 4-stroke systems with external sensor we offer to implement advance curves designed by the customer. We guarantee that the curves change timing as stipulated, but we do not guarantie that the engine will like those curves. This is alone in the responsibility of the customer. Advance units are some kind of dedicated computer. The instructions of the system containing such a unit indicate the needed switch settings. Customers are NOT encouraged to experiment with other settings as they might bring engine configurations dangerous to man and machine. And, those parts are unfortunately expensive (Info). We have different advance units, depending on whether the system has external or internal trigger, is crankshaft or camshaft triggered, uses a magnetic sensor or a hall element. Units for external triggers need specially formed trigger protrusions on the rotor circumference. Some of our rotor (for 2strokes) have sloped protrusions, which are no good for advance control. Here also rotor would need to be replaced. Please do not try to add an advance unit you may have bought without clear instructions from us.